We found water on Mars. Now we just need to find profit growth in America. Don't be fooled by last week's terrific tech news. The explosive growth trajectory from the likes of Amazon (AMZN), Google (GOOGL) and Apple (AAPL) are the exception, not the rule, these days. A powerful concoction of market forces have teamed up to put a lid on corporate profit growth. Among these factors are China's slowdown, the resurgent U.S. dollar, cheap oil, and even rising minimum wages. Third-quarter S&P 500 profits are projected to decline nearly 4%, according to FactSet. That would mark the first back-to-back quarters of shrinking profits since 2009. This isn't expected to be a blip either. 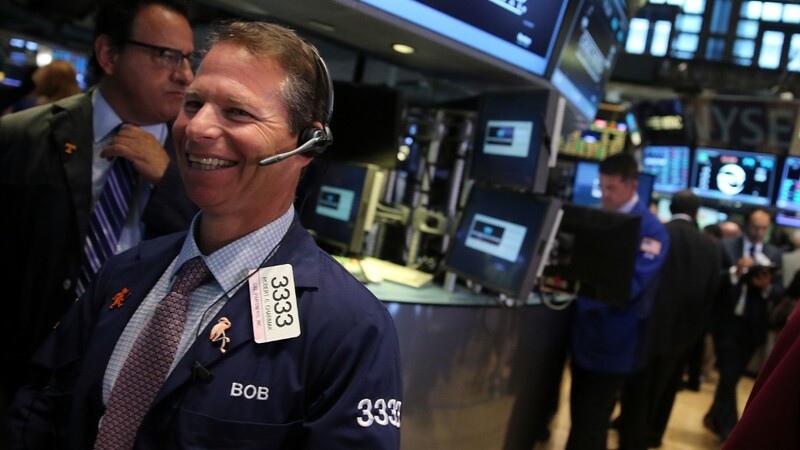 Wall Street analysts aren't modeling for earnings and revenue growth to return until the first quarter of 2016. The looming earnings recession could trip up the suddenly red-hot stock market. The S&P 500 has roared back to life in October, on track for its biggest monthly gain in exactly four years. That's great for your retirement account. But it'll be hard for the good times to keep rolling without real bottom-line growth. That's because sluggish profit growth is making stocks look expensive. The S&P 500's forward price-to-earnings ratio of 17.2 is well above the 15-year average multiple of 16, according to S&P Capital IQ. "How much do you really want to spend for stocks in a world that's not growing much?" said Ed Yardeni, president of investment advisory Yardeni Research. Related: It's Oktoberfest for stocks! If only the rest of Corporate America was growing like Apple is. The iPhone maker is expected to reveal profit growth of 32% when it takes the earnings stage Tuesday afternoon. Apple shares have soared 8% this month leading up to the key earnings report. Tim Cook could further excite investors with new info on the Apple watch or tidbits about plans to enter new markets. But even Apple isn't immune to slowing down. iPhone sales growth is expected to slow to 32% from the torrid 50% of the previous three quarters, according to FactSet. That's not good news because the tech sector relies heavily on Apple. Overall profits in the sector would be down 3% this quarter if Apple was excluded, compared with a 2% growth. Investors will have considerably more trouble finding growth from many of the remaining companies reporting results this week. On Tuesday, we'll get a window into how people are consuming entertainment via Comcast (CMCSA)'s results, what cars Americans are buying from Ford (F) and whether shoppers still like high-priced purses via Coach (COH). Also on tap later in the week are Expedia (EXPE), MasterCard (MA) and Starbucks (SBUX), all of which provide us a pulse on how Americans are spending. The hope is that cheap gas and renewed confidence have encouraged Americans to open up their wallet, offsetting other headwinds in the global economy. "We're back to depending on U.S. consumers to prevent the world from falling into recession," said Yardeni. "Americans are born to shop. If we're feeling happy, we spend. If we're feeling depressed, we spend." Get ready for the strong U.S. dollar to be trotted out as an excuse from multinational companies like DuPont (DD), Pfizer (PFE) and UPS (UPS) that are also reporting results this week. And then there's the crash in oil prices. S&P 500 energy companies are bracing for a 66% plunge in earnings this quarter, Capital IQ estimates. More profit drops on Friday may be disclosed on Friday by both Chevron (CVX) and ExxonMobil (XOM). Wall Street will also get a fresh reminder of slow growth on Thursday when the government issues third-quarter GDP figures. Barclays recently slashed its GDP estimate from 2.5% to 1.5%. That's a big slowdown from second-quarter growth of nearly 4%. All of this helps explain why few are looking for fireworks from Wednesday's Federal Reserve decision after its two-day meeting. The central bank is widely expected to delay a rate hike and there's growing doubt it will have enough confidence in the economy to raise rates at its December meeting.